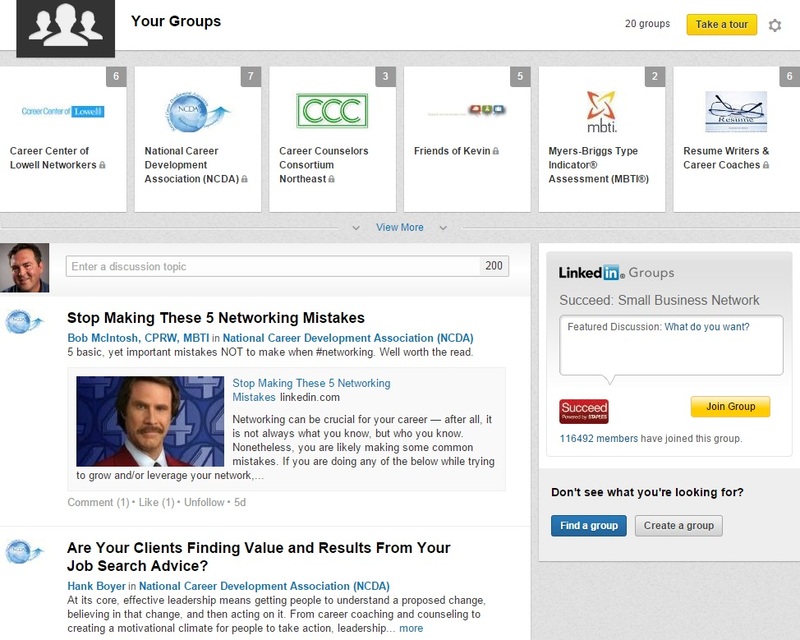 Which LinkedIn feature is your favorite for the job search? Is it Companies which allows you to locate and connect with people who can open doors for you? How about Jobs which, according to some, has become the second most effective job board, two notches above Monster.com. Or Who’s Viewed Your Profile, Find Alumni, Pulse? There’s one I’ve not mentioned yet. It’s a feature that provides you with an arena to express your views, ask questions, share articles, connect or communicate with people who are outside your first degree connections, and more. Groups is high on the list of my favorite features, quite possibly my number one. That said, I’m going to give you a rundown of Groups functions, some of which are very useful, others not very, and others a waste of time. Keep up with discussions. This is an easy way to see what’s going on in each of your groups (providing there are discussions happening) and contributing to said discussions. Depending on how much time you have on your hands, you can scroll and scroll down your screen to see if there is anything of interests. Start a conversation (New). How easy can LinkedIn make starting a discussion in a particular group. Begin your discussion by selecting a title (LinkedIn provides some suggestions) and adding details, choosing a group (only one group. Sorry), and post it. Manage your groups’ settings. This function allows you to rearrange your groups in the order you want them to appear. You can also adjust Member Settings, e.g., Visibility, Contact Settings, Update Settings, and Leave the Group. In terms of visibility, I tell my jobseekers to not show their Job Search groups on their profile. Rather the groups that are related to their occupation. 2. Discussions. Probably the best feature Groups has to offer, as it allows you to show your expertise through intelligent questions, thoughtful answers, relevant shares. One of my valued connections, Hank Boyer, constantly shows up on my Groups feed posting articles that are relevant to his connections. 3. Promotions. No man’s land. Promotions are ignored in most groups because any type of information posted and deemed as self-promotional end up here. One of my valued connections informed me that when he posts anything in a group I started, it is automatically placed in Promotions. I removed this page from my group. 4. Jobs. This is feature that is sometimes ignored by group members and, therefore, they don’t learn about jobs posted by their fellow members. I’ve sent messages to the members of my group informing them to look in Jobs, but this isn’t something that I can do on a constant basis. with any member in your group, even if he/she is a 3rd degree. I tell my workshop attendees that if they want to communicate directly with someone who’s not in their direct network, they can join a group of which the person is a member. The same goes for connecting with 2nd and 3rd degree connections. 7. Number of groups to join. 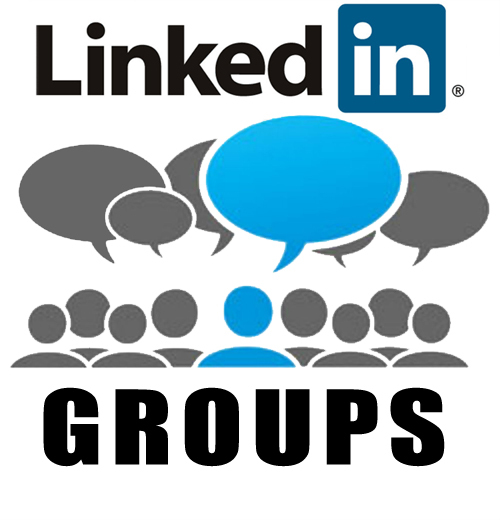 I tell my LinkedIn workshop attendees that LinkedIn allows them to join up to 50 groups, but I advise them to join groups only if they will be active participants. This leads me to conclude that a good rate of participation should be at least once a week—whether you ask an illuminating question or answer one. This further leads me to confess that I was once banished from a group because of lack of activity–yes, it’s possible. Thus, I made it my mission to participate in more groups or quit them. Should I get my hand slapped again, I will gladly apologize to the owner or manager who banishes me from that group. My advice to you is shed the groups you’re ignoring. Treat it like spring cleaning; purge your proverbial LinkedIn house of those groups you’ve stopped visiting. Trust me, it will feel great. If you know of other functionality of Groups not mentioned here, let us know. As always, if this post helped you, please share it with others. This entry was posted in Career Search, LinkedIn and tagged Groups, Groups Feed, LinkedIn, linkedIn groups, Participate on December 21, 2014 by Things Career Related. Great post again. In addition to all the great points you listed above, one of the reasons I love groups so much, is that the content in the groups allows us to keep learning, and keep on top of current trends and best practices for our industry and function. But in order for a professional to receive this benefit, it requires regular participation. Demonstrating subject matter expertise as well as currency (pun intended) in today’s market is such a critical factor of career management. and groups is a tremendous tool to help us manage this. You are so correct, my friend. Regular participation is essential. I can’t claim to be a great group member to all of my groups–I have my favorites. But I need to be more participatory or drop the groups I rarely visit. I should make a New Year’s resolution that I contribute at least once to each group. Thanks for your sage wisdom, and you and your family have a Merry Christmas (sorry for being politically incorrect).